really adds an impact, explains Los Angeles–based David Pressman. 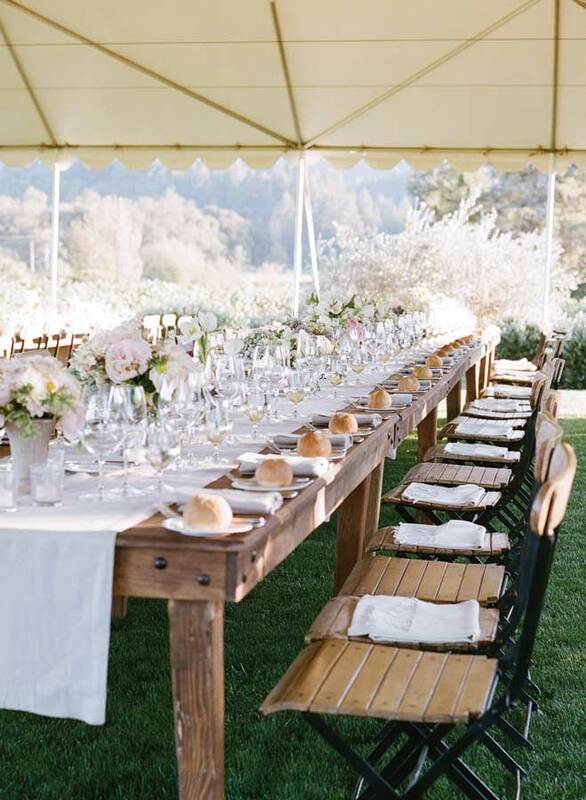 “The sense of drama is the result of the table design while the fun comes from the guests and joy of the celebration,” Feasting tables are also a great option for small weddings. 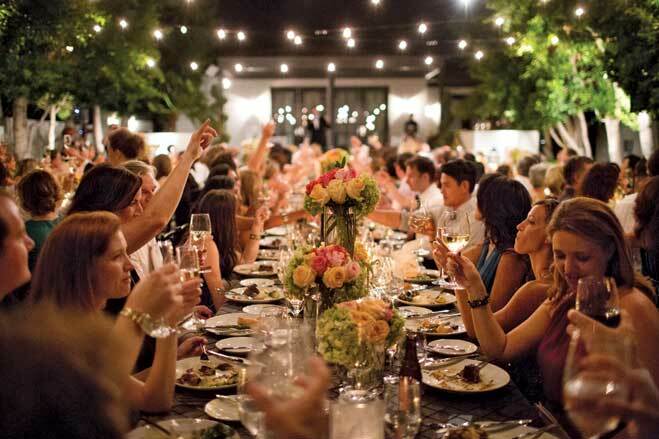 “For weddings under 40 to 50 guests I love a single, long table,” says Pressman. 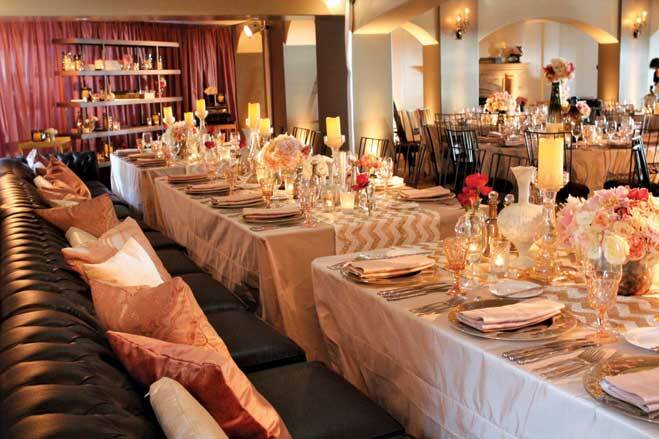 (above) For this couple's reception at Santa Monica’s Jonathan Beach Club, Kristin Banta Events used warm neutrals of blush, cream, champagne and vanilla mixed with gold, bronze and copper metallics to create an intimate, residentially inspired space. Mahogany wrought iron chairs and long, chocolate leather, Chesterfield-style banquette sofas added a cozy appeal to the feasting tables. (above) Alexandra and Blake’s wedding at the historic Santa Margarita Ranch featured high ceilings adorned with wrought iron chandeliers. 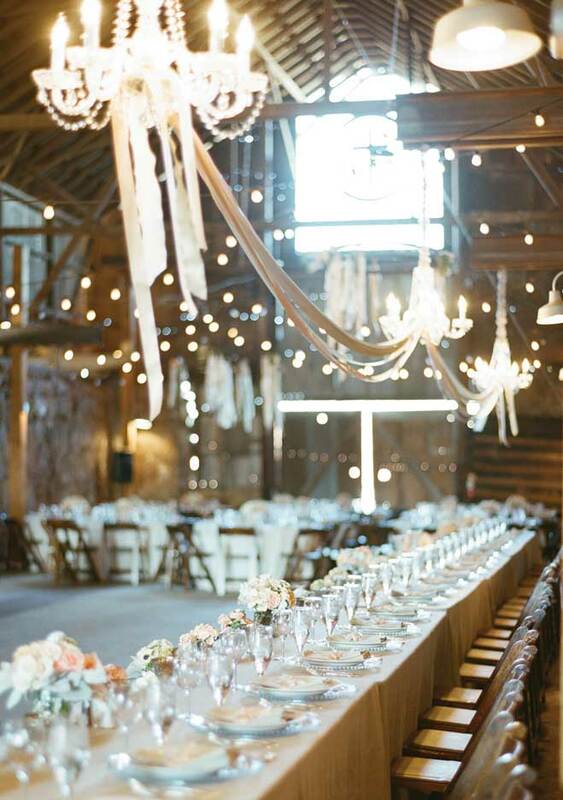 Ruiz and Laurel White of Adornments Flowers & Finery softened the space by streaming blush and cream ribbons from the iron lighting fixtures and added crystal chandeliers over the impressive 48-foot-long head table. White created centerpieces of English garden tea and spray roses, cafe au lait dahlias, hydrangeas, ranunculus, wax flowers, lisianthus, olive and dusty miller, with hints of gardenia nestled among mercury glass hobnail votives. 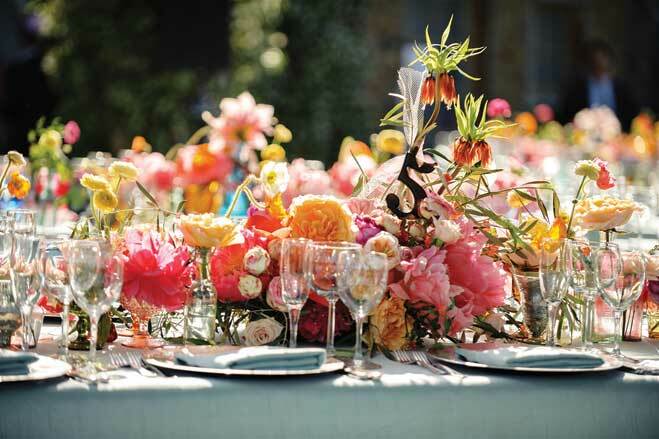 For Justin and Chloe’s spirited reception at Malibu’s Saddlerock Ranch, Pressman and florist Krista Jon opted for a free-flowing array of freshly cut florals—ranunculus, garden roses, peonies, dahlias, Icelandic poppies—in a variety of different hued glass containers to create a mood that matched the vibrant couple’s personalities.